In 2006 the Sancat Sports Association opened its doors to basketball, and since then has grown to become one of Florence’s most well known youth basketball leagues. Head of the youth league, MiniBasket is Antonio Calamai, who I had a chance to meet with and discuss his role as well as the league itself. After school most children attend religious class, music lessons or football practice, Sancat, however offers much more than just football leagues. One of Sancat’s most successful programs is basketball, a growing interest in a football dominated country. Thanks to an agreement with some local primary schools, students are taught basketball instead of having regular physical education class. 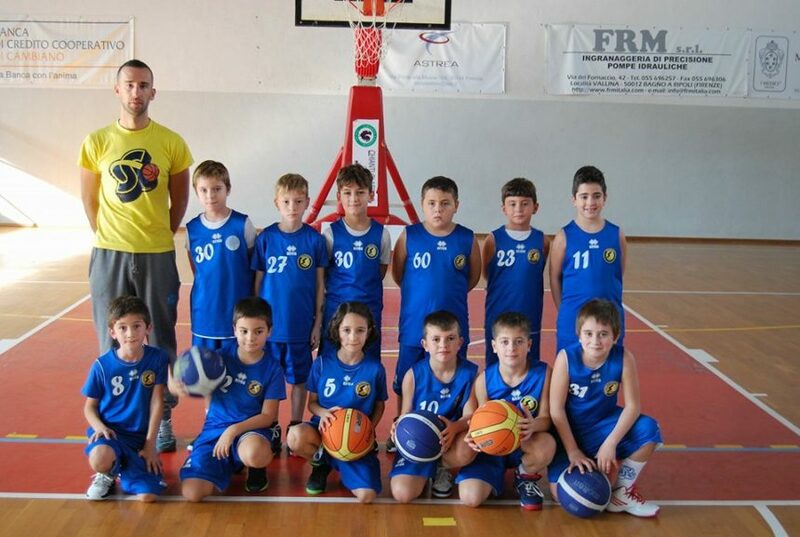 At this age, students learn the fundamental skills and proper techniques of basketball that are necessary in order to advance into the next stage. Though not just anyone can coach, the qualifications include a written exam, oral presentation, practice on the court and also experience as referee. In addition, coaches have to earn six credits a year by attending classes, since the game is always changing and there is always something new to learn. Antonio’s role at Sancat isn’t just strictly coaching on the court, he works just as hard on the sidelines. “Basketball is not the most important,” according to Antonio and his main priorities for the kids are: learning how to work in a group, learning how to accept a loss and preparing them for life. Antonio also teaches the kids how to be independent. At age eight parents are no longer allowed in the locker room. In fact, there is a clear distinction of the role of the parent. On the gymnasium door is a warning sign, reminding parents of their role, to support and cheer, to offer no suggestion or coaching of any kind. If a parent forgets or ignores the rules, Antonio stops practice to remind them. By teaching kids to be independent it helps them succeed not only on the court but off it. Sancat has come a long way in its past eleven years. While Sancat basketball is still young, it’s too early to tell if these players will play professionally, but that doesn’t seem to stop the progress. From starting out as a local Firenze youth academy to being invited to invitational’s hosted by top level club teams, the sky’s the limit for this league. With the right combination of teaching basketball and life lessons, there’s no doubt Antonio has the keys to success.